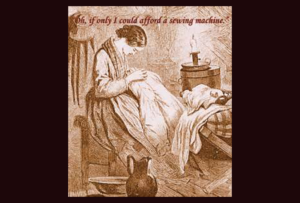 We would have been called “Dressmakers” or “Tailors” in days past because we research, design, & build custom “costumes” specifically to fit women. Using the very finest reproduction materials & methods available (no whales these days..), we give the wearer the authentic FEELING of years 1740 to 1914 in America. Perfect for Interpreters, Docents, Storytellers, Teachers, & Performers – anyone who uses their costume & uses it hard – as it would have been done in the past, & TEACHES while doing so. 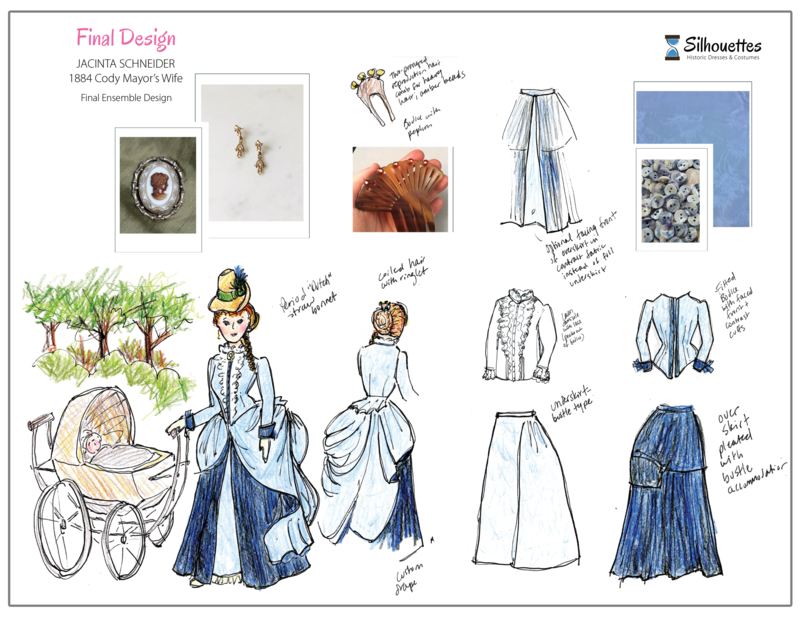 Providing appropriate undergarments & structures for your period robe/dress/gown, along with accessories & attention to detail – we work with you to present the specific image you want to portray. We have subcontractors who are professional, long-time experienced milliners, furriers, corsetierres, wigmakers, & bootmakers to build a part or a whole of the ensemble. You can work with them directly, or we can do it all for you. Let us join you on your journey to the past. Along the way you’ll learn the “who, what, why’s” of your era so you can share them with others.. and thus become a part of history yourself. Fill out the form below for a free phone consultation about your special project. 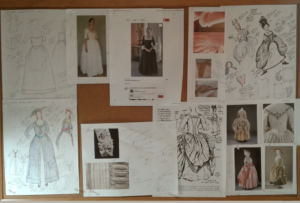 Project Boards in the Shoppe assure we stay on track with the approved designs. 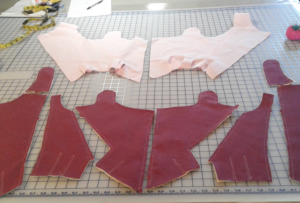 We actually build from our sketches using methods of flat pattern, draped, & tailoring! Click here to go to the Historical Fashion Eras Introduction page….